Trimming lawn edges, keeping grass down in hard to get at places, clearing large areas of land, brambles, nettles and unwanted shrubs can be not only time consuming but also a very labour intensive job. 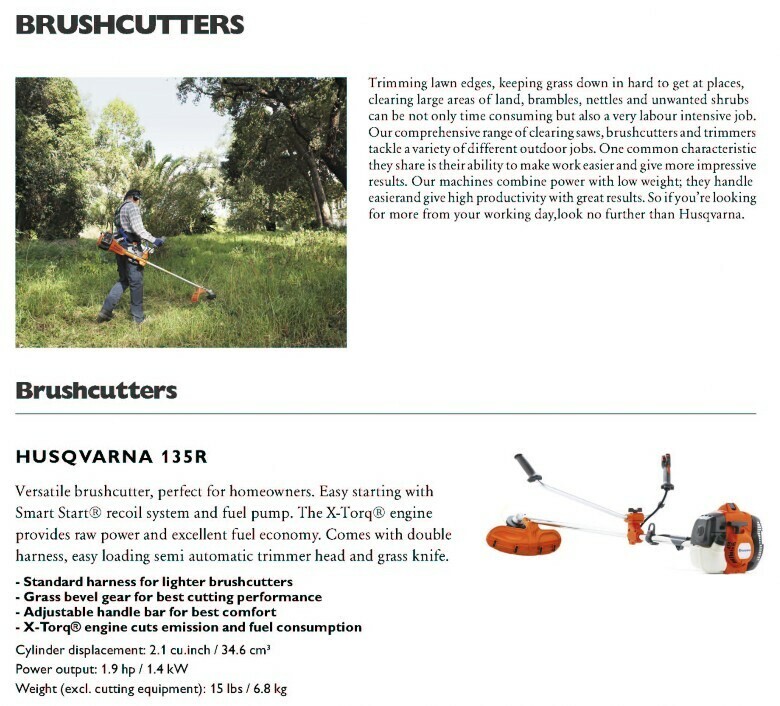 Our comprehensive range of clearing saws, brushcutters and trimmers tackle a variety of different outdoor jobs. One common characteristic they share is their ability to make work easier and give more impressive results. Our machines combine power with low weight; they handle easierand give high productivity with great results. So if you’re looking for more from your working day,look no further than Husqvarna.